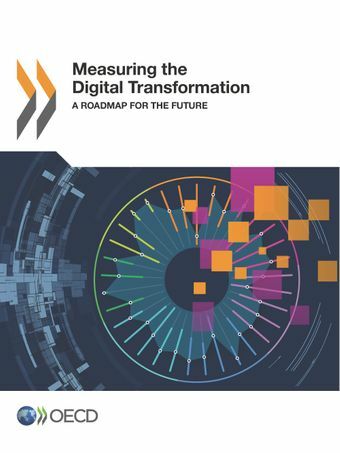 The measurement work undertaken in the OECD Going Digital project has led to a set of nine proposed actions that, if prioritised and implemented, would substantially advance the capacity of countries to monitor the digital transformation and its impacts. Monitor transformative technologies (notably the Internet of Things, artificial intelligence and blockchain). By further building the evidence base, countries can prepare the ground for more robust policies to promote growth and well-being in the digital era. Action now will reap rewards in the future. The digital transformation is a multifaceted and fast-moving phenomenon that has significant impacts, including on the business processes and models of firms. As a result, the pace of technology uptake will depend, among other factors, on the type of sector in which a given firm operates. While no single indicator is able to reflect the pace of technology development and diffusion, combining indicators can provide insights into how different sectors, are positioned in terms of technology adoption. Industries can then be classified into quartiles from most to least digital intensive which allows cross-country comparisons across a number of dimensions by digital intensity of sectors. A smaller set of indicators for the OECD Going Digital policy dimensions has been selected for visualisation and international comparisons in the Going Digital Toolkit. The Toolkit also provides easy access to additional indicators from the publication and the underlying data and databases, as well as related publications, policy guidance and more.